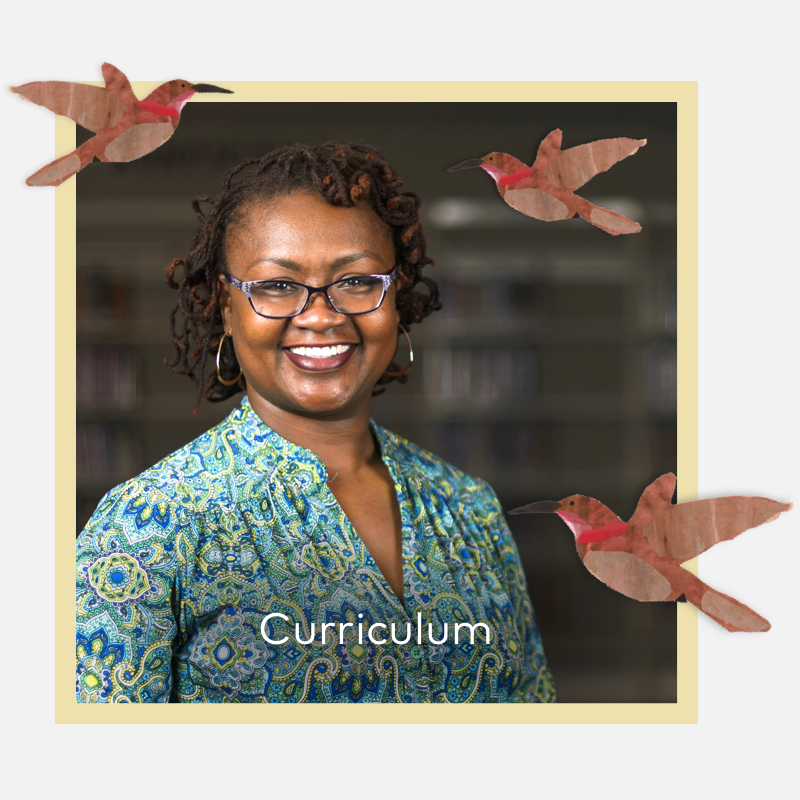 Discover EL Education’s impact through the eyes of Atak Natali, high school student; Dr. Diamond Jack, school leader; and Tracy Haynes, middle school teacher. 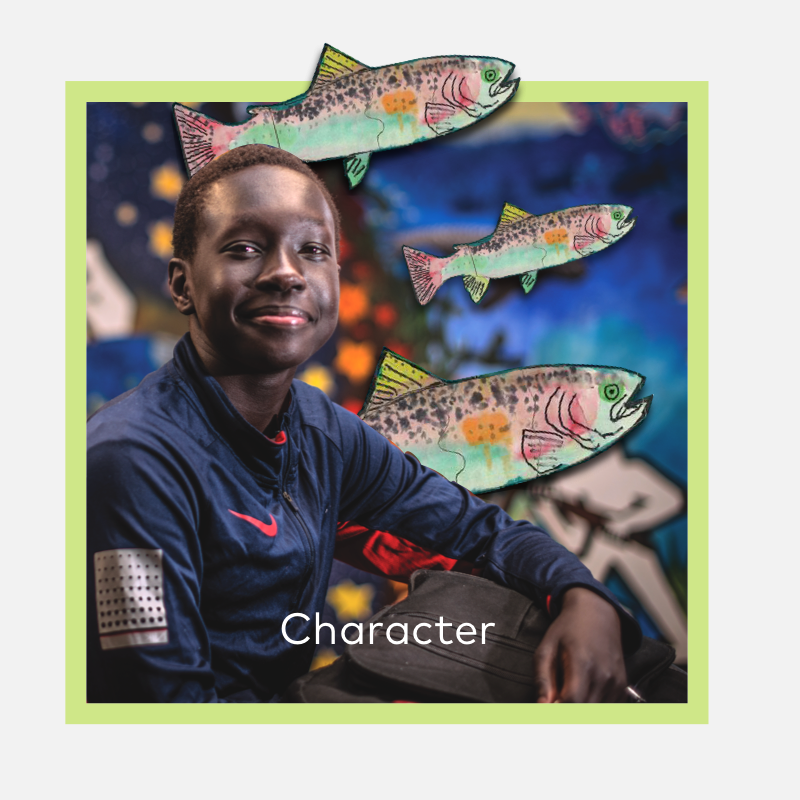 Their stories bring to life our approach to developing student achievement through positive character, innovative school design, and empowering literacy curriculum. 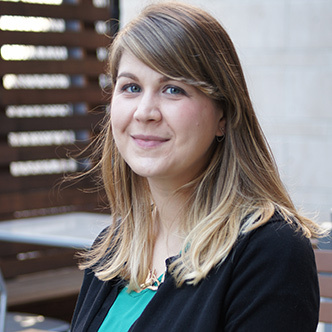 Sydney Chaffee teaches at Codman Academy Charter Public School, an EL Education school in Boston. 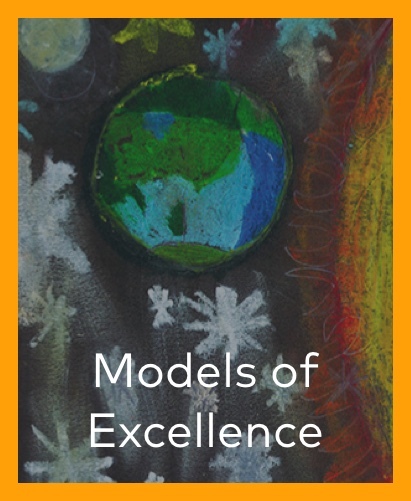 EL Education schools, leaders, and teachers receive 55 awards for excellence, including the Teacher and Principal of the Year in New York state. 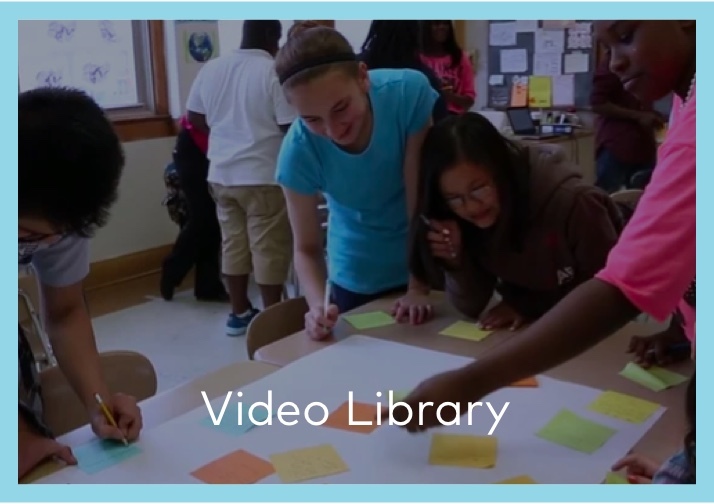 The first case study from The Aspen Institute’s National Commission on Social, Emotional, and Academic Development features Capital City Public Charter School, an EL Education Credentialed School. 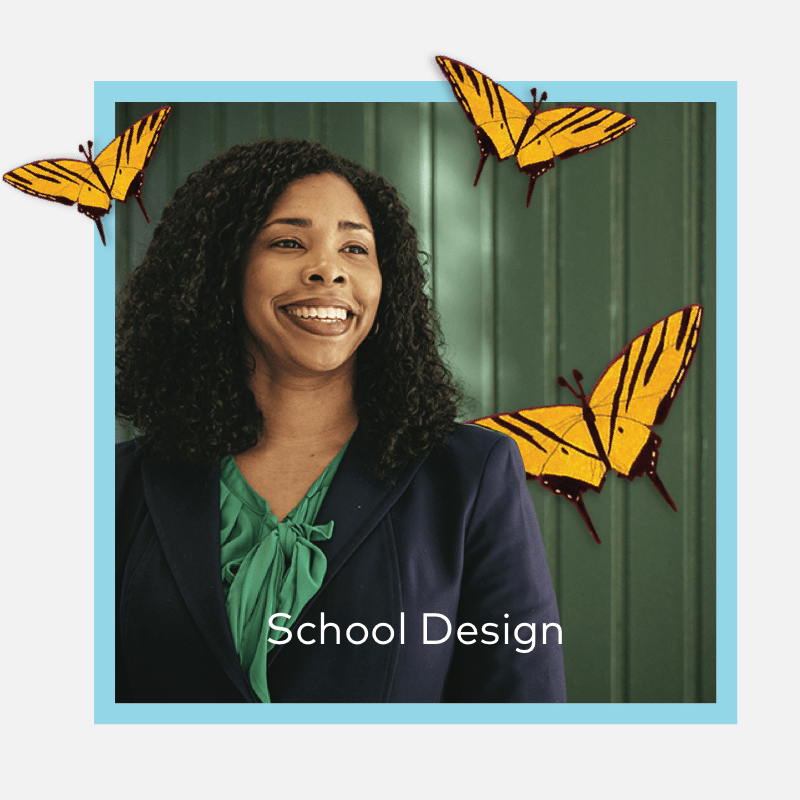 EL Education was launched 25 years ago when a group of visionary educators won the New American Schools national competition for ‘break the mold’ school designs with an inspiring proposal that put students’ learning and character development together. 1,200 educators and attendees come together in Chicago. 92 master classes and events strengthen teacher practice and build a community of educators. 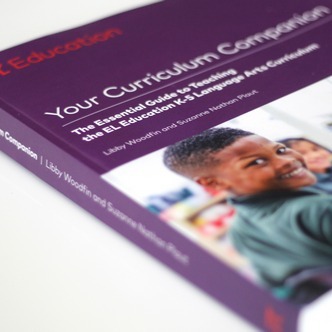 We publish our fifth book—Your Curriculum Companion: The Essential Guide to Teaching the EL Education K-5 Language Arts Curriculum. We are grateful for the many individual donors and institutional funders that make generous philanthropic commitments to EL Education. 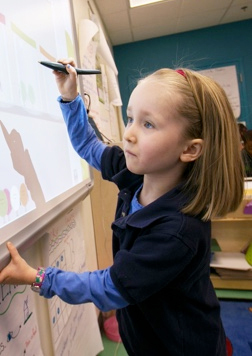 These institutional funders are investing $1,000,000 or more in EL Education. These supporters made extraordinary gifts of $1,000,000 or more to create endowment funds. 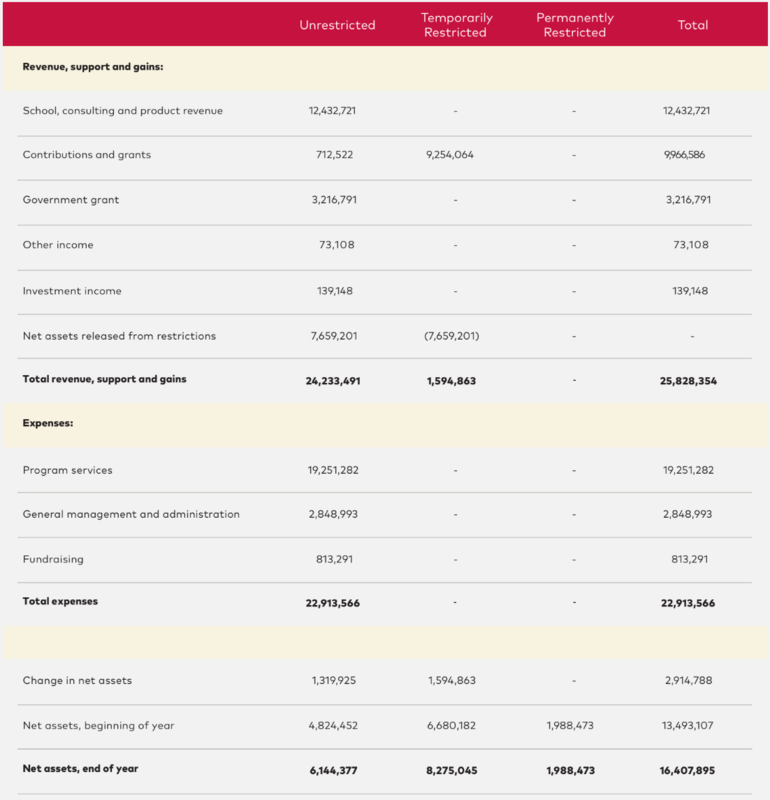 From EL Education’s audited financial statements for the 2017 fiscal year. When students and teachers are engaged in work that is challenging, adventurous, and meaningful, learning and achievement flourish. We partner with schools and districts to bring an expanded vision of student achievement to life: one that includes mastery of knowledge and skills, character, and high-quality student work. EL Education is a leading national K-12 nonprofit helping to build great schools in diverse communities across America. Dive into our free and open-source K-8 literacy curriculum, by and for teachers. Thanks to the following schools for contributing photos to this site: Lighthouse Community Charter School, William Smith High School, Grass Valley Charter School , Codman Academy Charter Public School, Hollis Innovation Academy, Craigmont Middle School, Melrose Leadership Academy, Casco Bay High School, Capital City Public Charter School, and Harborside Academy. 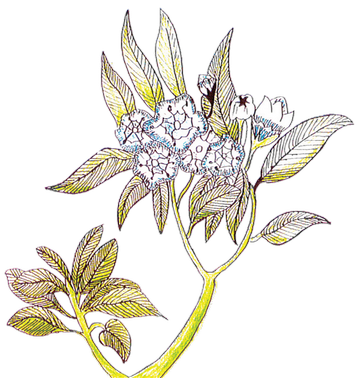 Thanks to students from the following schools for contributing illustrations to this site: Anser Charter School, Conservatory Lab Charter School, King Middle School, Grass Valley Charter School, Palouse Prairie Charter School, and Tollgate Elementary.